One of the most delightful Australian-developed games, the non-violent open world exploration game Yonder: The Cloud Catcher Chronicles, has a firm release date for May 17 on Nintendo Switch. That is for the digital edition of the game. A physical release will follow in June, for people that like to collect such things. 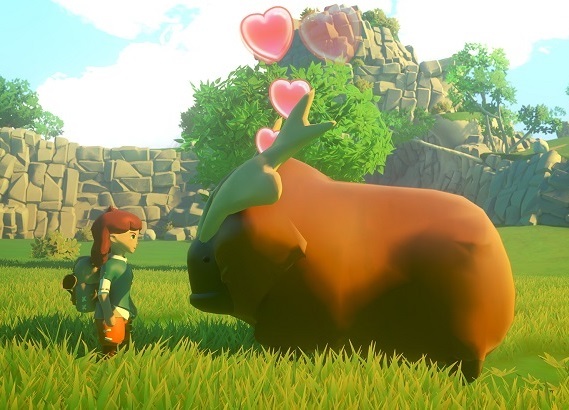 Yonder should find a strong audience on Nintendo Switch, as it's very heavily inspired by The Legend of Zelda games, only without that combat. You go around helping people collect things, while also building up a farm, making friends of the local wildlife, and just drinking in the gorgeous art and atmosphere of the world. It's rare to have such a peaceful, pleasant game, and in an industry so obsessed with violence and destruction, to have something so pure and innocent is nothing short of a relief.